How are we all? Neglected again, but I have so much news to tell you all. Apart from graduating university I managed to get myself a full time job as a Food & Drink writer (shocker there) & Beauty writer for Exquisite Magazine which tailors to a luxury lifestyle. It's been pretty full-on so when you're writing Monday-Friday words escape your head over the weekend! In early August, Andrea and I went on holiday to Sardinia which is where his family are from. We had the pleasure of staying with his Aunt, who I fell in love with. We got to explore the wonderful island and see something new everyday. One night, we went to Santa Maria which is a stunning little town on the coast near Lanusei. It's a port town, so it had a great sunset. 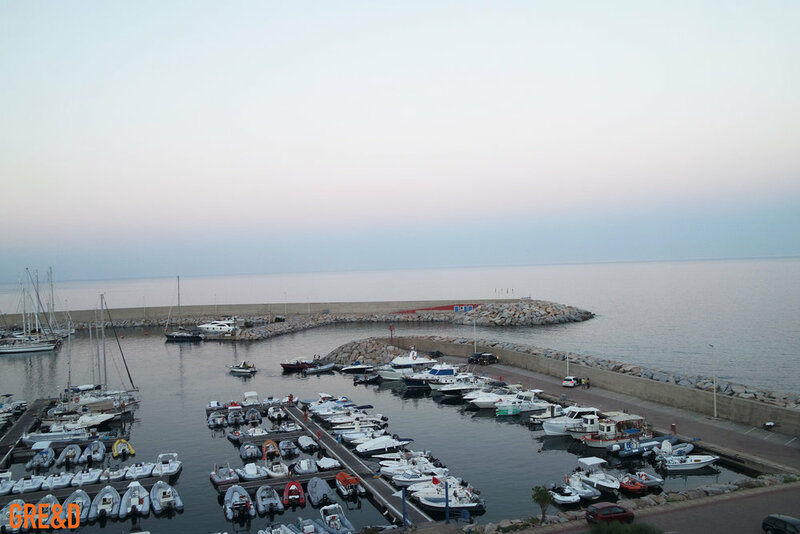 We went to a restaurant called Toma, which over looks the port and is above the sea. For starters, like most European destinations, we had bread. Sardinian bread is THE best bread I have ever had. The traditional bread is extremely thin, like eating a crisp and is recommended to put salt over it. I'm a bit of a crisp fanatic so eating this bread, was like entering my heaven! They also serve it to you constantly so be cautious not to full up on bread before eating! For mains there was so much choice, from fresh pasta, meat dishes and fish. The menu was quite large. 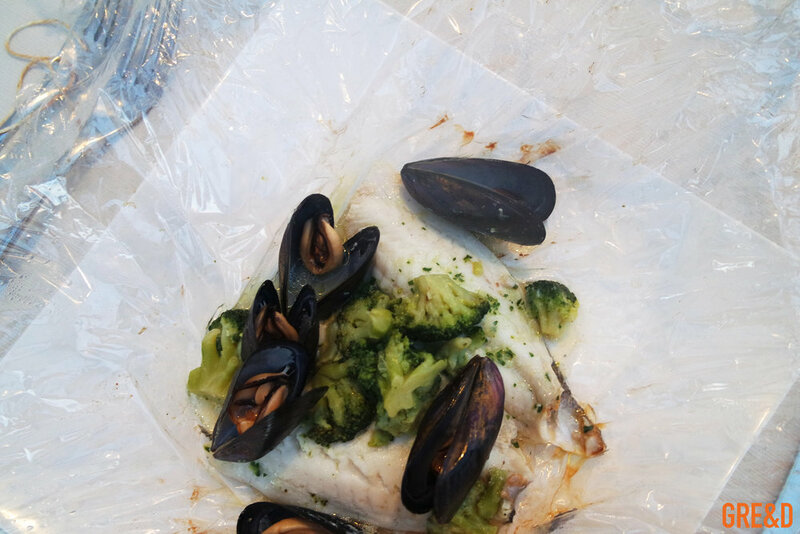 I decided to choose a fish dish of sea bream fillet baked in a bag with mussels and broccoli. It arrived in a clear bag tied with a small piece of brown string. Opening the bag was releasing the most amazing sea food smell. 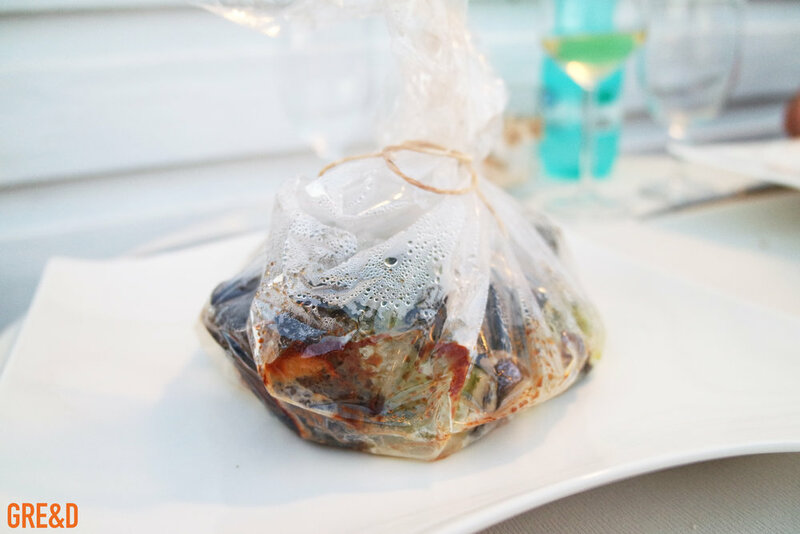 Where the fish had ben baked in the bag, the juices had infused in the broccoli giving them a great texture. The fish was so delicate it just melted in my mouth. I wasn't left feeling too full, which was nice because then there was room for dessert. 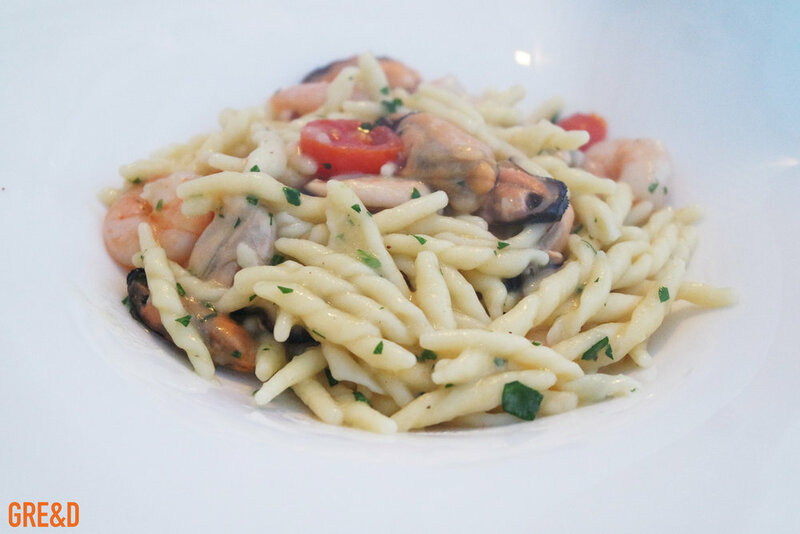 Andrea had fruits of the sea dish, which was freshly prepared and cooked pasta with prawns and mussels. It was dressed in the lightest olive oil dressing with tomatoes. The tomatoes added a great fresh flavour to the seafood. I swear, no-one in the world can make pasta like the Italians. We did have dessert but by the time is came, the sun had set and it was pretty dark, so the pictures didn't come out very well. I can tell you the dessert were lovely. Andrea had a tiramisu and I had ice-cream. Santa Maria is home to a small beach which you see an abundance of people walking across it of a night time. It also has some great lively bars and restaurants. So I highly recommend having a wander around of a night time. 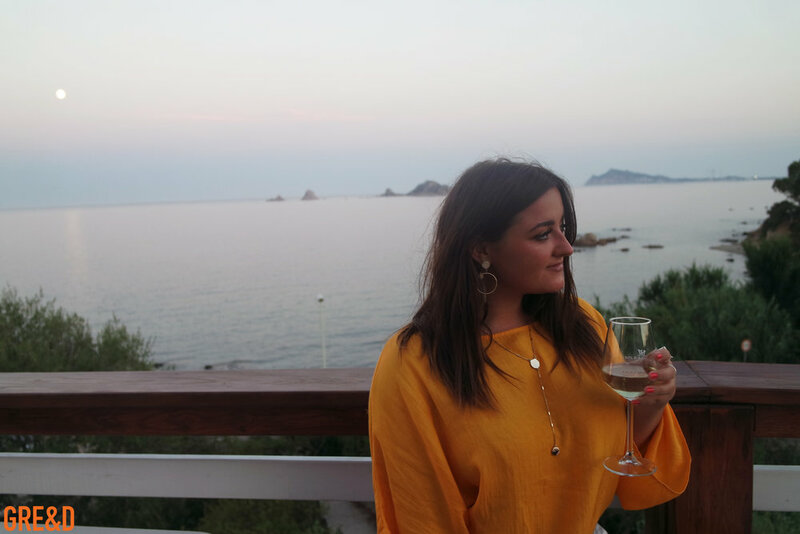 It was such a beautiful night, I would highly recommend taking a visit if you're in the South of Sardinia. 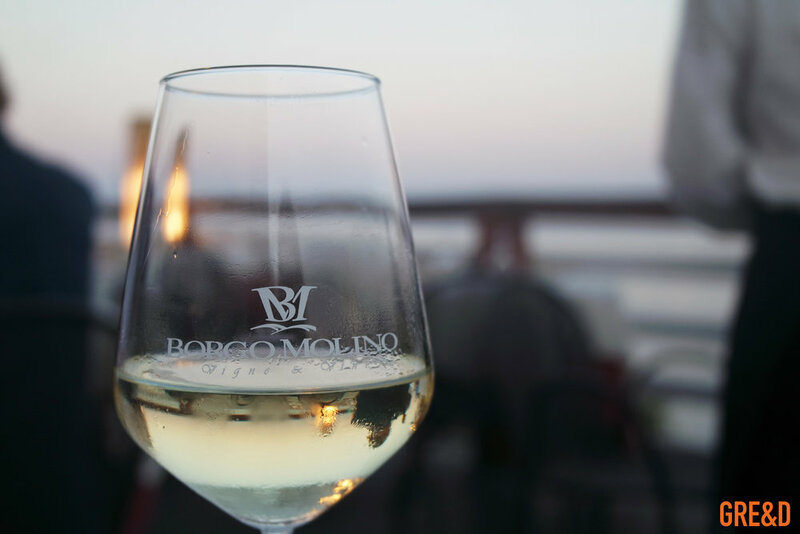 Planning a trip to Sardinia?